Gemini Forest Products has been working with the Export industry for over 30 years. 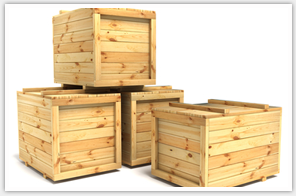 Our lumber has been used for various exports in packaging, crating, and shipping. We carry a full inventory of Heat Treated lumber as well as plywood. We offer delivery by truck and ensure materials arrive on time. Gemini Forest Products has been working with the Freight Forwarders Service Industry for over 30 years, which gives us the knowledge & ability to provide our customers with the most competitive pricing.